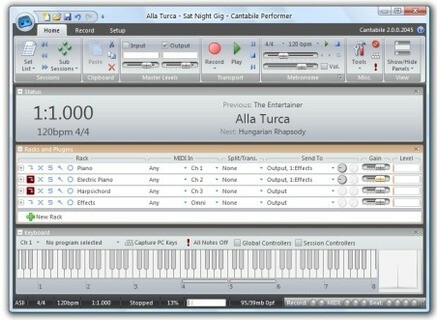 Cantabile 2.0, Virtual Rack/Host for Plug-in from Topten Software. 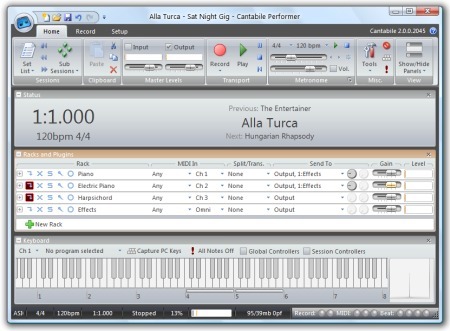 Topten Software has updated Cantabile v2.0 to Build 2053. Fixed - various issues restoring sub-sessions including wet mix level and some rack/plugin bypass/mute settings. Fixed - occasionally crash deleting a plugin through right click menu. Fixed - loopback MIDI menus not working correctly. iZotope Updates iDrum iZotope has updated iDrum to v1.73.